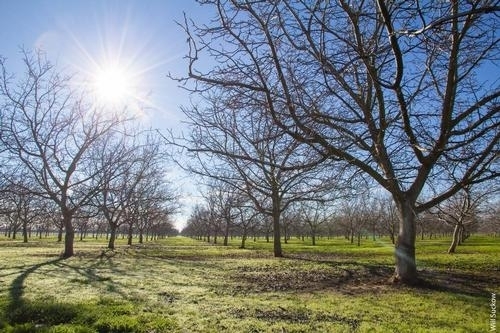 Rising temperatures appear to be reducing the number of hours tree crops in the San Joaquin Valley are subjected to chill during the winter, a critical factor in producing a profitable yield, reported Ezra David Romero on Valley Public Radio, KVPR-FM. Pistachios, for example, require temperatures between 32 and 45 degrees for about 700 hours each winter, but for the past four years have had less than 500 chill hours. UC Davis researcher Hyunok Lee recently published a study about climate change impacts on agriculture in UC Agriculture and Natural Resources' peer-reviewed journal California Agriculture. The study found that winter temperatures are increasing more than any other time of year. Her modeling looks at the year 2050 in Yolo County. Romero spoke to UC Cooperative Extension farm advisor Craig Kallsen, who holds the UC Cooperative Extension Presidential Chair for Tree Nut Genetics. Kallsen is conducting trials aimed at finding pistachio varieties with novel nut, tree growth and yield characteristics, and varieties that produce a high yield even under low-chill conditions. 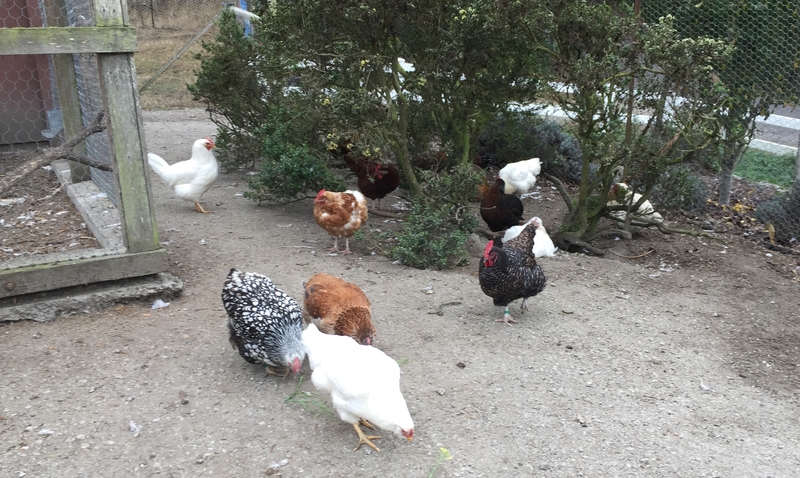 David Doll, UC Cooperative Extension farm advisor in Merced County, is studying other tactics to improve winter chill, such as using overhead sprinklers to cool the trees and painting them white with liquid clay to reflect sunlight. "So this is something that could impact a lot of farmers over the next 10, 20, 30 to 40 years,” Doll said. “And in fact it's already impacting farmers on random given years across the state." UC ANR's David Doll, a UC Cooperative Extension advisor in Merced County, is considered the go-to guy for almonds.  Doll writes the Almond Doctor blog. People in California are divided over whether the “L” in the word almond is pronounced or silent, reported Ezra David Romero on Valley Public Radio. As a general rule, farmers in the northern part of the state say “am-end” and farmers in southern areas say “almond.” In a quest for an explanation, Romero spoke to numerous farmers and ag industry professionals who all told a version of the same joke. 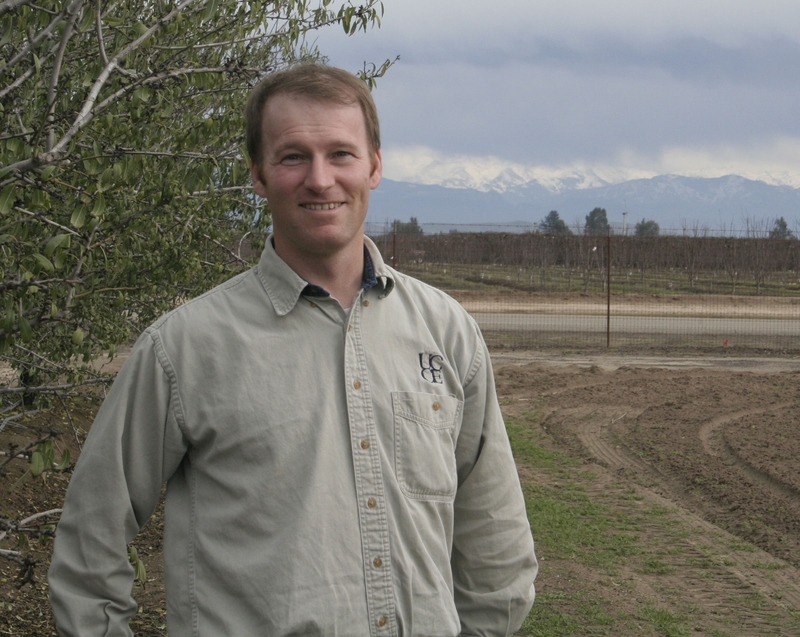 For his story, he quoted UC Cooperative Extension farm advisor David Doll, who he called the "go-to guy" for all things almond in California. “Farmers will often tell you, you call it an almond on the tree and an am-end on the ground because you shake the l out of it,” Doll told him. But in terms of the true rational, Doll couldn't provide a definitive answer. "People who refer to it as am-end tend to be longer-term farmers, so they've been farming for multiple generations,” Doll said. A UC Davis plant breeder was able to offer a plausible explanation. 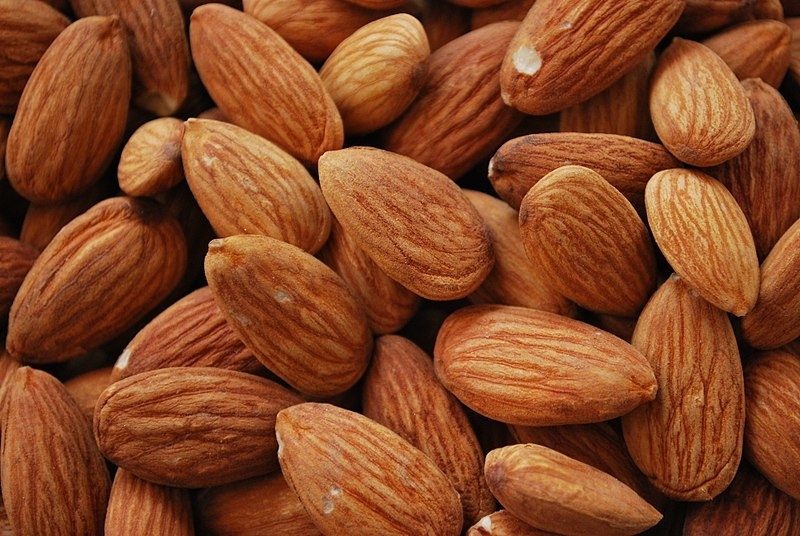 When almonds were first introduced by Spanish missionaries, almendras (pronounced with the l) did not succeed. Later immigrants from France and Portugal, who pronounced the nut amandola and amande respectively, brought the crop to Central California. "Somewhere along the line the use of am-end stuck in Northern California, while the Spanish-inspired noun grew popular elsewhere," Romero reported. 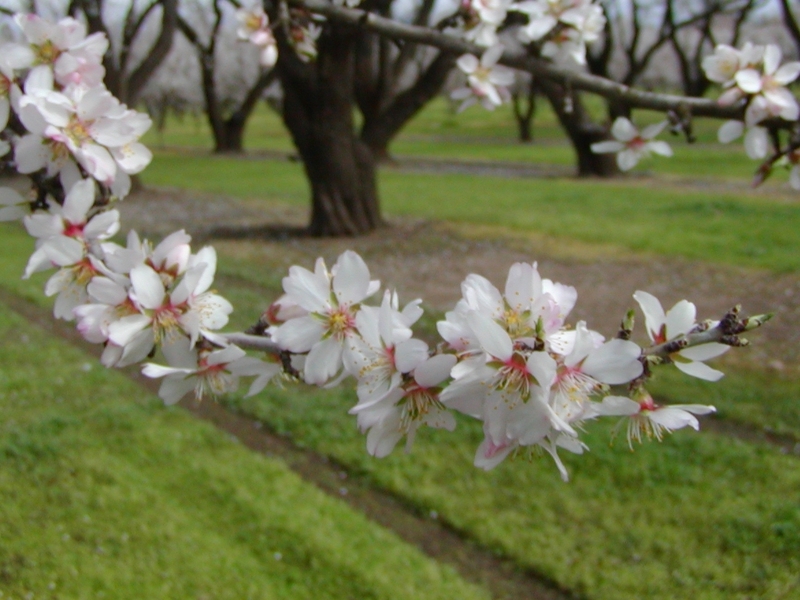 Almonds in the California's Central Valley will soon bloom in preparation for pollination and production of the 2016 almond crop. 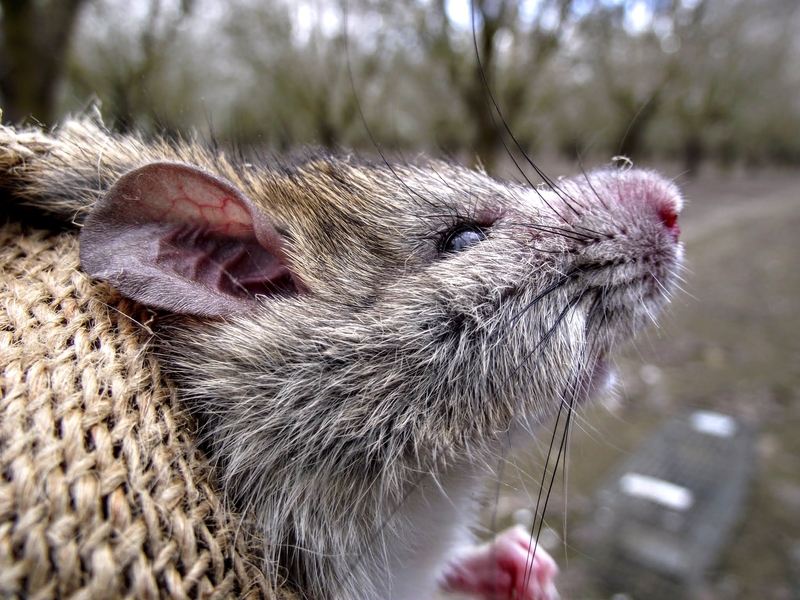 A surge in the price of almonds in 2014 has cut demand and resulted in a lower price for the 2015 California almond crop, reported Tom Philpott in Mother Jones. Despite the state's four-year drought, almond production continued its steady rise over the last 15 years. The plunge in global demand may impact the trend, according to UC Agriculture and Natural Resources Cooperative Extension advisor David Doll. Last year Philpott asked Doll how long the almond boom would continue. "He told me it would only stop 'when the crop stops making money,'" Philpott wrote. Doll explained that, under normal water supply conditions, the break-even farmer price for almonds is $1.45 per pound. But when water is scarce and farmers pay more for water, the break-even price rises to $2.60 to $2.85 per pound. The Fresno Bee this month reported that almond prices dropped about 20 percent to $2.50 to $2.75 per pound. Growers are hoping that El Niño will reduce water costs and that the Asian and European appetite for almonds returns to normal, pushing up the almonds' value once again. Ezra David Romero of Valley Public Radio reported that the strength of the U.S. dollar also reduced buyer interest in California almonds. "We probably pushed the price up too high," said Darren Rigg of Meridian Growers in Tulare, Calif. "It killed off demand, and people at a certain point, they just don't buy." In the web version of Romero's story, he used a picture of UC ANR's David Doll in an almond orchard.